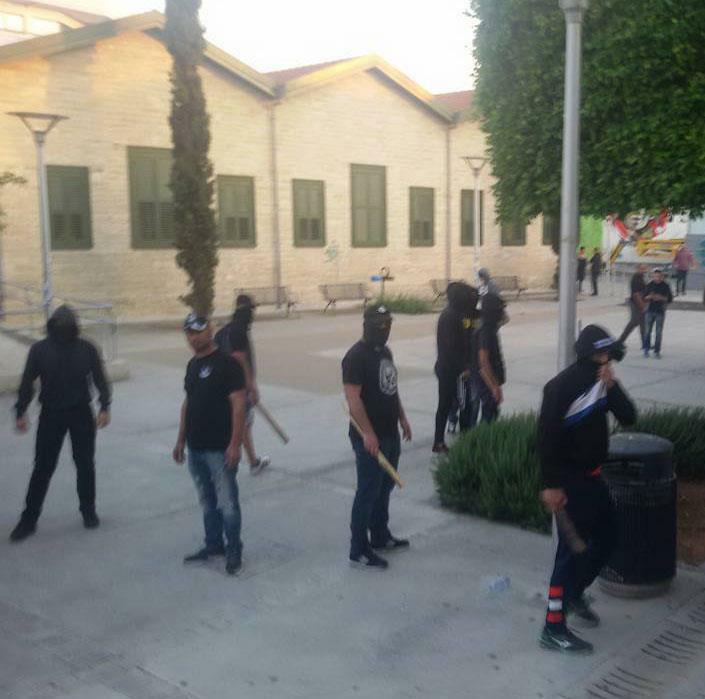 During the country’s evaluation by the Committee on the Elimination of Racial Discrimination (CERD), the delegate of the Republic of Cyprus at the Office of the United Nations in Geneva was stating- among other things – that “hate crimes rarely occur in Cyprus, usually within the context of football hooliganism”, hooded fascists and neo-Nazis, armed with bats and other lethal weapons, launched an attack on an event happening at the TEPAK university regarding the left’s attitude towards reunification and partition. Three participants were lightly injured from the fascists’ attack. KISA categorically condemns the new hate crime and notes the climax of acts of violence by fascists/neo-Nazis against anyone who disagrees with their prejudiced views. The rapid increase in hate crimes committed by teams of fascists, including the neo-Nazis of ELAM, becomes obvious if we consider that at least ten incidents of hate crime have come to light in the past year and a half. At the same time, it is clear that fascists and neo-Nazis have no inhibitions regarding the form and extent to which they will exert violence when circumstances “allow” it. We feel it necessary to bring up that hate crimes started becoming visible in society from the beginning of the decade. The first victims of the neo-Nazis were migrants and refugees, followed by human rights activists, then Turkish Cypriots, and today, anyone who raises their voice in favour of the reunification of Cyprus and peaceful coexistence between Greek and Turkish Cypriots. Unfortunately, we reached this point due to the tolerance and inability of the state to act dynamically and effectively. It is worth mentioning that the alleged leader of the attack at the TEPAK was well-known for his neo-Nazi views and actions. P. Cleovoulou was one of those who led the attack against KISA’s “Rainbow 2010” Festival and remained unpunished. The same person also part of an attack in 2014 against an event – also at the TEPAK – that featured Mehmet Ali Talat. Back then, the perpetrators were not led before a court since the Attorney General believed this not to be a matter of public interest – just as in the case of the lack of prosecution against Golden Dawn member Sfakianakis. KISA believes that neo-Nazis are also simultaneously favoured by the counterfeiting of the history of Cyprus in order to sacrifice significant ideological differences of diverse political spaces of the so-called “Centre” at the altar of opportunistic alliances to reverse the position thus far held by the Greek Cypriot side regarding a solution involving a bicommunal, bizonal federation. In this context, the unrestrained nationalism that led to the events of 1974 is absolved from all blame, resulting in the creation of fertile ground for resurrection of fascist, nationalist and prejudiced ideologies and their use by fascists and neo-Nazis. KISA asks the relevant authorities and society as a whole to take coordinated and effective action in order to deal with the fascist menace efficiently, even at the eleventh hour.